And this, ladies and gentlefurs, marks my very first, hand drawn art picture by me, posted anywhere on the internet, ever! This is very exciting as I put hours of work into each view of my character. 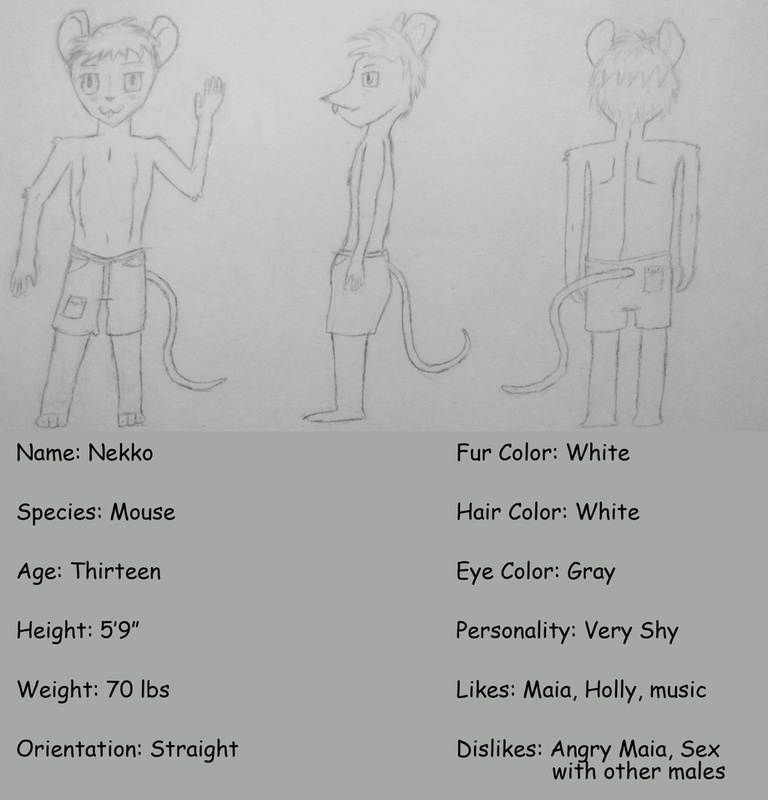 Nekko the white mouse, from my story, Holly's Big City Night, Part 3.